A Sewage overflow does not only create an awful odour, but it also brings toxic substances and pathogens indoors. Since sewage contains a lot of pathogenic agents, it can cause serious health problems to anyone who comes into contact with it. If you are faced with an emergency situation, just call Advanced Cleaning and Restoration and we shall respond quickly. Once our technicians arrive we will assess the damage and create a scope of works detailing the requirements of the job at hand. We will determine the extent of the damage and look to remove contaminated materials rather than apply antimicrobial biocides as an alternative. We will treat some affected porous materials such as concrete and remove other affected materials such as gyprock. We will treat your home as we would our own. Our technicians pay close attention to sanitisation and decontamination during a sewage clean-up. We combine steam cleaning and powerful antibacterial biocides to kill microbial contaminants in your premises. All antimicrobial residues will also be removed with vacuum recovery leaving a clean and safe indoor environment. 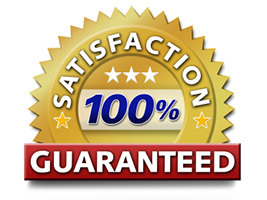 We don’t back down on what we promise our customers; we deliver exceptional sewage cleaning services with 100% satisfaction guarantee!